Which trends are going to influence talent acquisition? 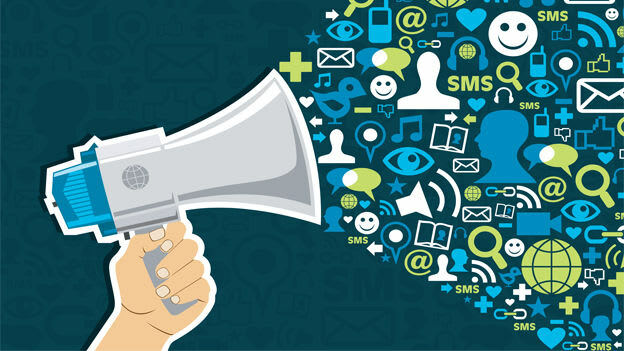 Social Media, direct recruitment or internal referrals- which of these has become the most popular? Read on to find out. The recruiting trends of 2017 were mostly centered on technology and automation, followed by workplace diversity with special emphasis on candidate experience. Other major themes included cross-functional collaboration and employee advocacy. Majority of talent acquisition leaders are trying to keep pace with such technological innovations and marketplace challenges. With rising new roles, the conundrum of fetching the right set of new-aged skilled resources remains a daunting task. While these ideologies and concepts aren’t new, they continue to evolve and will remain hot topics in the years to come. Let’s take a closer look at three of the major trends that are believed to top the charts in talent acquisition across India during 2018. Many organizations are raising their hiring budgets this year. According to a report by Mettl, an assessment and skill-measurement company, 87.6% of organizations will have an increased hiring budget in 2018 which is up from last year’s 67.8%. This survey was based on the feedback taken from around 1,860 business heads and HR leaders across the country. The survey further revealed that about 76% of organizations expect to have an increased recruitment volume this year, compared to about 65% last year. In another report by Michael Page, a recruitment firm, it states that there will be an upsurge in the hiring activities in India. This can mainly be attributed to the Government’s Make in India initiative with its sharpened focus on public infrastructure projects and an upward trend in talent acquisition across many sectors. Recruiting by more overseas companies to build their teams in India with enhanced activity in the renewable energy sector and increasing role of technology interwoven in it will also provide a push to hiring volumes. It also predicts that the top industries hiring this year will be chemicals, paints, engineering, FMCG, and retail, with average salary jump of 23% to as high as 45% while moving jobs. With more HR tools and Artificial Intelligence (AI) arriving in 2018, the hiring tech market will grow and proliferate further. According to a recent LinkedIn survey report, 35% of talent professionals and hiring managers say that AI is the top trend impacting how they hire. And 56% of them say that new interview tools top the chart impacting hiring methods. The focus on automated recruitment tools for efficient candidate screening and assessment will continue to rise. Artificial intelligence backed by machine-learning algorithms will dominate the way recruiters screen resumes and communicate with candidates. Virtual Reality is set to bring in a lot of transformation in the arena of candidate screening and branding. All these technological upgraded tools have begun to take a strong foothold in recruiting space and will continue to trend in the coming years. As per the survey done by Mettl, Social Media recruitment tops the charts as one of the most important sources of talent hunt. It clearly ranks number one with 36.17% followed by external recruitment sources contributing 23.8%, which consists of jobs fairs, campus hires, etc. 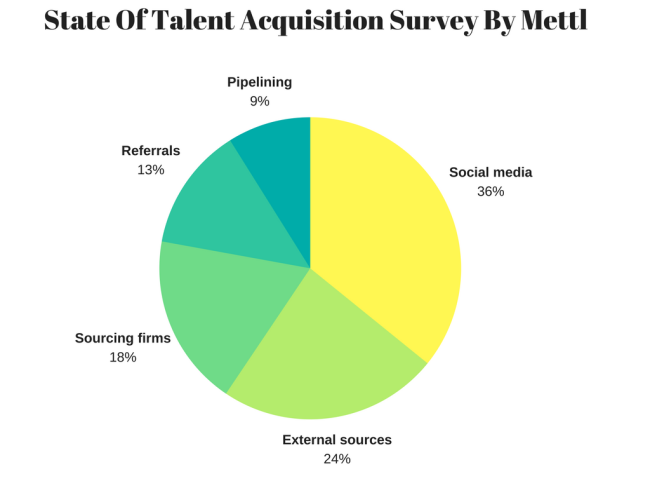 Talent sourcing firms are used by 18.6% and internal references by 13.3%, while promoting talent from within or talent pipelining has slipped to 9%. With over 530 million members, LinkedIn offers a lot more than a professional network site and allows employers to shortlist and attract relevant profiles. Instagram also offers opportunities for employer branding to pull talent. Moreover, in order to tap Gen Z candidates, Social Media is the only best possible option for the employers. While the job market looks promising in most of the industry segments and with the Government’s push to revive it further, technology will play an unparalleled role in the way experienced and new-aged candidates will be hired by companies of all sizes in 2018. With the integration of Artificial Intelligence and introduction of robotics in recruitment, it will be worth a wait to watch if a robot is hiring you, or you are hiring a robot in the years to come. Know more about such trends at the People Matters Talent Acquisition League Annual Conference 2018 on 30th May which will seek to address the most poignant talent acquisition challenges, what’s next in TA, and how AI and machines are becoming matchmakers for recruiters today.